Anniston, Alabama: The City of Anniston has chosen to honor Vietnam veteran Ken Rollins by renaming 17th Street to Ken Rollins Drive. 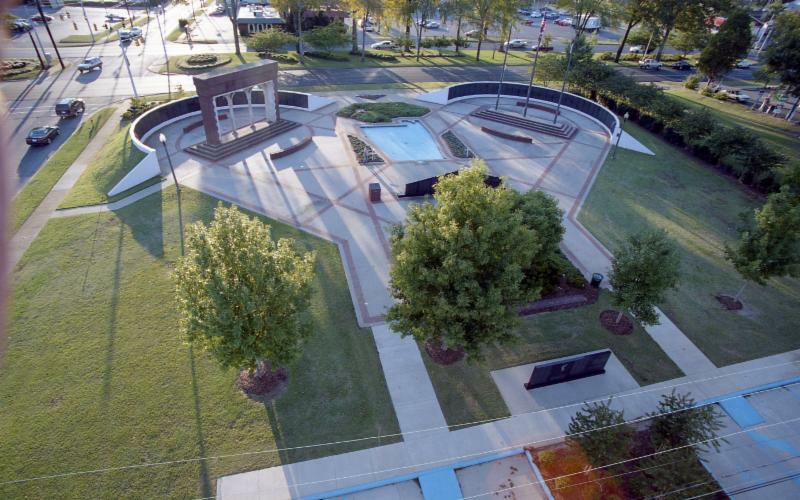 Ken Rollins was and continues to be the driving force behind creating and updating Centennial Memorial Park in Anniston to include all of Alabama's fallen in wars of the 20th and 21st centuries. Just behind the Alabama shaped reflecting pool in the park's center is the memorial wall listing the 1205 warriors either killed or missing in Vietnam. Ken has worked for years on this state memorial and is currently working to add walls for those lost in Afghanistan and Iraq. To honor him and all of the warriors he has honored with his labor, the City of Anniston on September 6 will change the name of 17th Street which runs along side the park to Ken Rollins Drive. A well deserved recognition for a veteran who continues to serve. Great chance to tell any veteran "Thank you for your service" maybe for their first time. I will gladly sign all purchases. Please give me your veteran's name and service period so I can properly sign his or her book. Thank you and Welcome Home. Explore Warriors Remembered a 240-page, hard cover,11.5" x 11.5" photo documentary book of Vietnam Veterans Memorials from all 50 states. It highlights 100 memorials with over 285 photos and captures the struggles and dedication of those who created them. It is organized in nine geographic regions with maps and exact locations for memorials in each region to encourage visits to these very compelling and beautiful memorials nearby.